San is directed and founded by TCM practitioners and is Australian owned & operated. We source and supply high end boutique hardware directly from the best manufacturers worldwide. San prides itself in knowing what professionals require in their day to day practice and the quality they expect. Acupuncturists & physical therapists are but a few of the many allied health professionals that utilise and praise our products. San works closely with manufacturers & partners whom abide by the strictest quality control standards in the world so you can rest assured your using only the best products. Our products have gained recognition with world body organisations and certifications such as FDA, ISO, TUV, CE & TGA through rigorous testing and scientific data. You can trust in knowing San has done all the hard work! The people behind San have always felt a deep connection to Mother Nature and all creatures great and small. Through our TCM work both in Australia and in China we began to realise the impact Chinese herbal medicine could have on some animal populations. 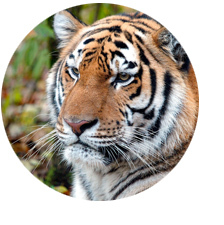 We believe that TCM as a whole is invaluable as a natural medicine but we also choose to help raise awareness about the illegal trade of tiger parts (sometimes used in Chinese medicine) that still exists today. A percentage of every sale made in our store each month will be given to help raise funds to support tigers and other animal welfare organisation initiatives around the globe, to fight the good fight. WWF help protect these big cats in the wild. A world without tigers is unthinkable. However, in less than 100 years the wild tiger population is estimated to have fallen to as low as 3,200. The tiger's once wide distribution has shrunk by 93% and in most cases tiger populations are restricted to a few desperate refuges in these last remaining patches of habitat. The future for the tiger could not look bleaker. The team at SAN support WWF's global tiger initiative which aims to double the tiger population by 2022, before it really is too late. The aim of International Animal Rescue is to come to the aid of suffering animals around the world. Wherever possible they return rescued animals to their natural environment, but also provide permanent sanctuary for animals that can no longer survive in the wild. Sanctuary: Orangutan Emergency Centre, Ketapang. We’ve adopted Monti. How gorgeous is she! The team at International Animal Rescue (IAR) were told that Monti was being kept by a family in a remote rural location. 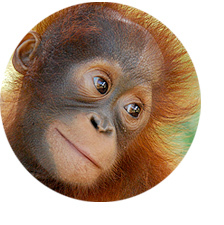 When the IAR team found her, the family claimed that the tiny orangutan had been found alone in the jungle and they had taken her in: but in reality an orangutang baby is never left alone by its mother and someone must have killed Monti's mother to get to her. 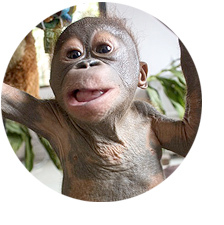 Our new adopted friend Gito was less than five months old when IAR rescue team in Borneo found him in 2015. He had been dumped in a filthy cardboard box and left out in the sun to die. Less than two months after his rescue, Gito is looking healthy, happy and alert – and even sporting two fine front teeth! He may not yet be as hairy as he should be, but his skin is smooth and supple and there are definite signs that his coat is growing. Our store is open for order pickups by appointment only. Please email us to confirm a day and time.